Forums » BeoWorld For Sale & Wanted » BeoWorld Private Sales » Moving Sale - everything must go! As of a few months ago I have accepted a new assignment in Germany and sadly need to liquidate all of my B&O. Fear not, I will return stronger in 2018 with a new, tbd BeoSystem. As I take pictures and upload them, I will add to the thread. Prices will be in USD, and will not include shipping. Let me know if you need more pictures or infos and I will supply them. Items are shipping from Detroit Michigan. Please comment or PM with any questions! First up is my BeoMaster 3000-2 and BeoVox S45-2s. EDIT: Found some spare parts, ordered from another BeoWorld user and were never installed. These are some replacement output transistors along with some trimmers. Not pictured are some precision resistors and diodes. All will be included with the BM3000-2. This postcard set is free to the first taker! All I require is postage. They were a gift from the dealer I used frequently in Washington DC. Postcard set please. I am in the UK. Let me have postage quote. And good luck with your assignment! You got it, Graham! Just PM me your address and I'll get it to you ASAP. Next up is my very first pair of BeoLabs Purchased in 2009. BeoLab 5000 type 6703. All original except for the replaced power cords (they were removed from the original installation with scissors!). The amber displays work perfectly and have zero dead pixels. Wall mounts included. Please look at the closeups of the stainless, there are some rough markings. The frets are also original and have a few holes. They can be yours for $350 plus packaging and shipping costs. Here is a mostly working BeoLink 5000. The problem lies with the screen - some lines of pixels come and go. Here is a woofer from my old BeoVox 2600s. This woofer suffers from some rubbing in the voice coil area / some rattling noise. Free to a good home. Cost of shipping only please. Side note: I cannot figure out how to get the pictures to upload in the right direction - darned piephones! Oak surround for the classic BeoGram 1202/3000. Free to a fellow BeoCollector. Yours for the cost of shipping. Form 2. Sadly, never used these as much as I should have! 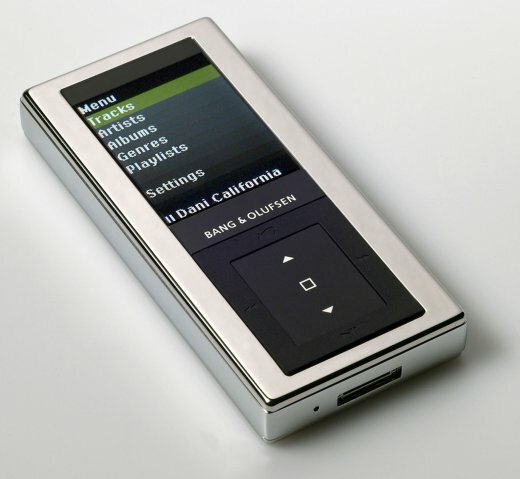 BeoLink 1000 - Audio Terminal. Works like it should! Master Control Panel 5500 - Works great and is in excellent cosmetic condition. Even the little plastic gear-hinges are still firmly intact. Has been recapped in the amplifier section but still needs some attention to trimmers and mute relay to get the temperature problem under control. Email message sent via Beoworld....... but as it doesn't show in my conversations/ messages list perhaps a you could confirm that you got it! I remember from a thread a while back that Beoworld User 'js' was after an Audio Terminal - I have sent him a PM so hopefully he'll be in touch! Good luck with the assignment in Germany. I lived in Bavaria prior to Bucharest and thoroughly enjoyed it! It's a great place to buy second hand B&O on eBay.de! BM4000 returning to Germany then (at least temporarily)? Message in my email and in my PM list. Thanks, Guy. I'm really looking forward to it! I travel there frequently already and you are right, the 2nd hand B&O market is huge. Hi Gunther! I will be relocating to the Cologne area. TBD - still looking for apartments etc. After that adventure of picking up the BM4000 I felt that it deserved to stay. I would like to move it back to Germany that way I can finally follow up on it and finish the restoration. However, it may take some time. Might have to stash it temporarily at my parents house. Or carry it onto my plane like before! It is definitely going to hurt parting with the collection, but I am excited about a fresh start and building a new stereo or three. Maybe I'll be able to get my hands on a set of those M100's everyone is talking about. Found all of these extra connectors digging through some boxes today. Of special mention are the never used NOS 3 pin DIN plugs (unshielded speakerlink?). Some or all can be yours for the cost of postage. Have the BL 5000s and the BM 3000-2 gone? The BL5000s have sold. The BM has been moved to storage and as a result don't really need to get rid of it, but if you are interested I will box it up for you. Will add photos of item when I arrive home, but wanted to list it while I was thinking about it! I have a BeoSound 6 that was sent to me by the one and only BeoWorld PrizeDrawBot. Comes with everything (power adapter is for UK) except the A8 earphones. Comes in original box with leather case, usb cable and power adapter. If you still have the headphones, I would like to purchase them from you. I have a Beosystem 5500 and would like to use them with my system. Sure wish I had seen your ad earlier, I just purchased a 1000 handheld remote control, and I am looking for a good B&O turntable. I see yours were sold already. I don't think I am up to completing the repair of your Beomaster, but the thread was interesting. If you have anything else that might fit well with my 5500 system, please let me know. Cables, etc. Please let me know about the headphones and how to pay you. I am set up on PayPal or I can send you a check. Whatever you prefer. Hi there - sorry for the extreme delay. I have been quite busy with my relocation. Unfortunately the headphones have sold. As for everything else, I believe everything is sold or placed in long-term storage. I hope you find a nice BG to go with the 5500 - many options to choose from!